Eggs collected this weekend (and Monday). Sadly we lost our oldest chicken. Some people don't want to continue to feed chickens that are no longer laying and they are dispatched to a cooking pot. Here, we believe that after laying such lovely eggs for us, they can mooch grain till the cows come home, or until they meet some other fate. Great decision on your part. 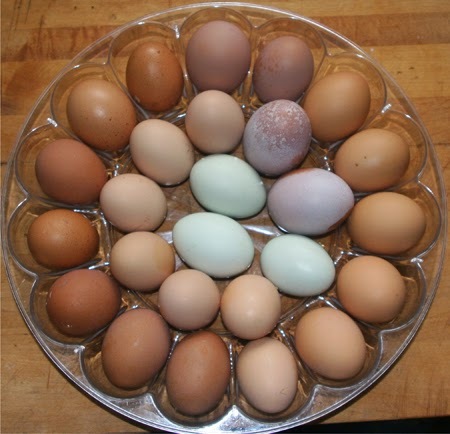 Lovely assortment of eggs!